Watering: keep soil evenly moist, avoid sogginess and allow some surface drying. 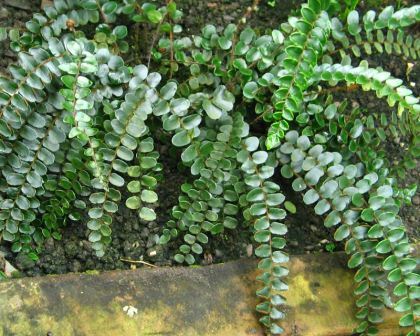 This unusual fern is great for terrariums or dish gardens when small and makes a beautiful specimen by itself as well. It is low growing and forms a rosette of fronds from it’s center.